Welcome our editor for the fiction and non fiction submissions: René Saldaña, Jr. We believe that René is particularly suited to this anthology and are honored to have him join us. René Saldaña, Jr., fiction editor of the anthology ¡Juventud! : Growing Up On the Border, is the author of several books for young adults and children, among them The Jumping Tree, Finding Our Way: Stories, The Whole Sky Full of Stars, A Good Long Way, and Dancing with the Devil. He is an associate professor of Language and Literacy in the College of Education at Texas Tech University in Lubbock, TX, where he lives with his wife and kids. El Zarape Press, in conjunction with Barrio Poet Productions, announces a call for submissions for a special anthology: Twenty, in response to the tragic shootings of innocent children and educators at Newtown, Connecticut on Dec. 14, 2012. Through this anthology, we hope to explore the nation’s grieving process (from denial and depression to anger then acceptance) and seek to publish work by poets and writers of all walks, who interpret both the tragedy and its aftermath from a range of perspectives. Let’s talk about anger, about guns, about the media, politics. Let’s talk about children, yours and ours and theirs, of innocence and violence in our culture. Let’s talk about hope and hopelessness, about growing, about healing (is it possible?). We are looking for essays, short fiction, poetry: personal reflections that engage these conversations in creative and innovative ways, either directly or indirectly. Submit up to three poems, a work of fiction or nonfiction via e-mail to barriopoetproductions@gmail.com. Include a cover letter listing the genre and title of your works as well as a short biography (100 word limit). Submissions are blind, meaning your name should not appear on any page of the work itself, only the cover letter. The length limit for poetry is 35 lines per poem. Works of fiction and nonfiction should not be longer than 4,000 words. Send a $7 payment along with a SASE (larger than 6″ by 9″) to Twenty: 1413 Jay Ave. McAllen, TX 78504. Include $2 pre-paid postage if you’d like to receive a copy of the book. Make checks out to Art That Heals Inc. Proceeds will be donated to the Newtown community and we will encourage readings across the country upon publication. We will have a rolling deadline– once we have enough work, we plan to close submissions. Please submit work as soon as you are able. Artists: please submit 300 d.p.i. photographs as .jpeg files of black-and-white work: simple drawings, silhouettes, photographs. These will be printed inside a 6″ by 9″ perfect-bound book. Daniel García Ordaz, a.k.a. The Poet Mariachi, teaches English at McAllen Memorial High School and is the author of You Know What I’m Sayin’? He is a former journalist and is also a founder of the Rio Grande Valley International Poetry Festival. Daniel was one of five writers and the only poet selected to participate in the Texas Latino Voices project in 2009. He has been a featured poet at the Dallas International Book Fair and has been a featured speaker at conferences. He conducts workshops on poetry and creative thinking. 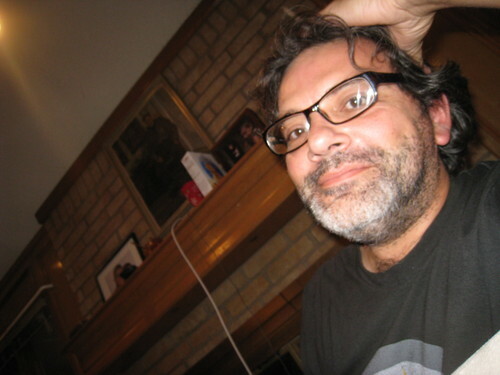 Edward Vidaurre, born in East L.A., has been published in La Bloga, the Valley International Poetry Festival anthology, Boundless 2011, 2012 and 2013, Interstice 2012, 2013, La Noria Literary Journal and Writers of the Rio Grande. His poem, “Lorca in the Barrio,” which was published in Along the River 2 by VAO Publishing, has been nominated for a 2013 Pushcart Prize. His first book of poetry I Took My Barrio On A Road Trip (Slough Press 2013) is coming out soon. Vidaurre is the founder of Pasta, Poetry and Vino and Barrio Poet Productions. José Chapa published his first book of poems, Pájaros de Pólvora, at the age of 18. His work has been featured in a number of Mexican literary journals, and is included in three anthologies. He presently resides in McAllen, Texas. Katherine Hoerth is the author of three poetry books: The Garden Uprooted (Slough Press, 2013) and two chapbooks titled Among the Mariposas (Mouthfeel Press, 2010) and The Garden of Dresses (Mouthfeel Press, 2012). Her work has been published in journals including Rattle, Boxcar, and Front Porch and she has been twice nominated for a Pushcart Prize. Katherine teaches writing at the University of Texas Pan American and serves as Assistant Poetry Editor of Fifth Wednesday Journal.